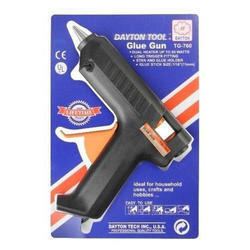 This Hot Metal Glue Gun used to bond various materials such as cardboards, plastic items and others in less time. 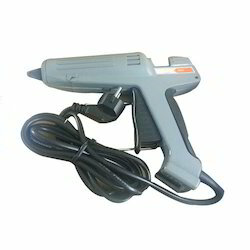 A glue gun consists of the trigger that is pressed by the user to spray the liquid adhesives on the surface of the broken items. - Heats up in 3-5 minutes and maintain constant temperature automatically making it an ideal adhesive for home, office and school DIY crafts projects including metal, wood, glass, card, fabric, plastic, ceramics and so on.